Letters suspected of containing deadly poison that were sent to the White House and the Pentagon did not contain a finished form of ricin, a poison made from castor beans that can be deadly, law enforcement officials said Wednesday. Instead, they contained a primitive form or precursor that is not very hazardous, the officials said. Asked if other similar letters have been found, one official said that's being looked into, but nothing yet definitive. The officials also said they now believe a separate letter found yesterday at Sen. Ted Cruz, R-Tx., campaign's office in Houston is not related. A flurry of suspicious envelopes addressed to high-profile political figures had been received in the past two days. 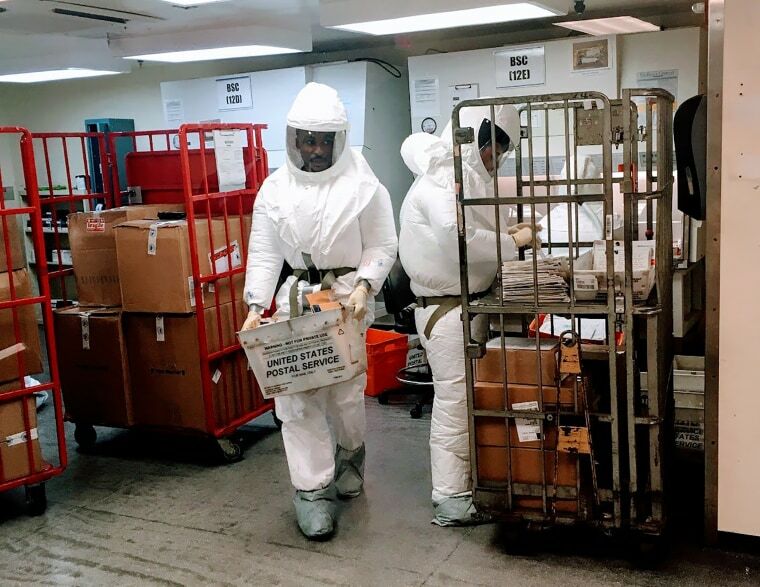 On Tuesday, federal officials said at least two envelopes, addressed to Secretary of Defense James Mattis and Chief of Naval Operations Adm. John Richardson, at a Department of Defense mail processing center were suspected of containing the deadly toxin. The FBI was leading the investigation in testing those envelopes. Later Tuesday, the Secret Service said in a statement that it intercepted a "suspicious envelope" addressed to the president. And two people were hospitalized in Houston after a "white powdery substance" was found in a letter addressed to Cruz's campaign headquarters, according to law enforcement sources. The package was opened in the lobby, resulting in a temporary lockdown, according to Cruz's spokeswoman. No Cruz staffers were hospitalized in the incident, she said. FBI investigators later said in a post on Twitter that lab results indicated no hazardous substance on that letter. Daniella Silva and Courtney Kube contributed.